Mobile developers are a type of software developer. They specialize in mobile technology such as building apps for Google’s Android, Apple’s iOS and Microsoft’s Windows Phone platforms. For this reason job titles for this type of role also include Android developer and iOS developer. Mobile developers learn the programming languages and software development environment for their chosen platform. Currently, there are a handful of major mobile platforms, each with its own core language(s) and development environment (eg Java for Android, Objective-C for iOS and C# for Windows Phone), but this is in a state of constant change to keep up with the pace of new technology. 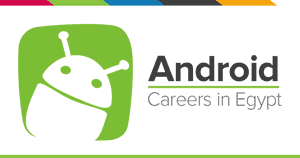 Experience ( 3 Years ) in developing native Android and / or iOS apps. Good experience in working with JSON , Restful web services . Experience in SQLite , Core Data .